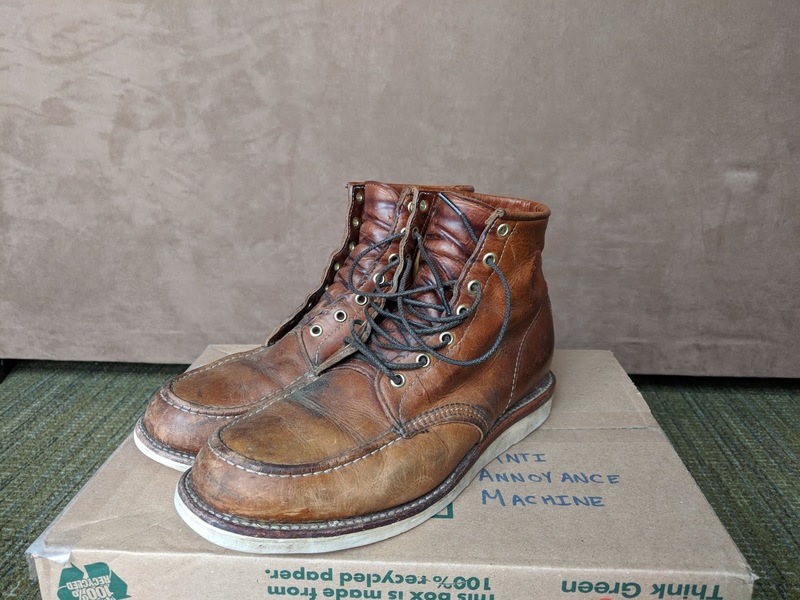 These boots have been put through the wringer these past several years. 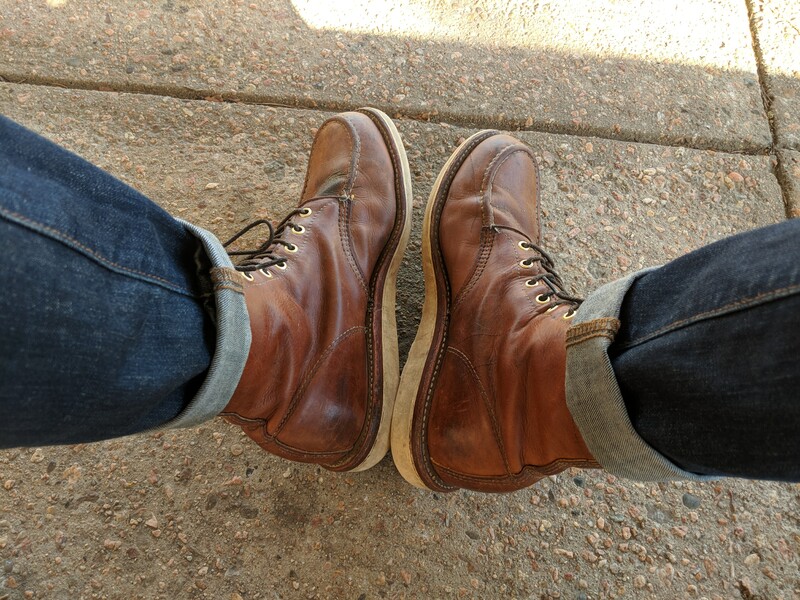 From muddy hikes to dirt-biking, I use these boots for everything they're not designed for. 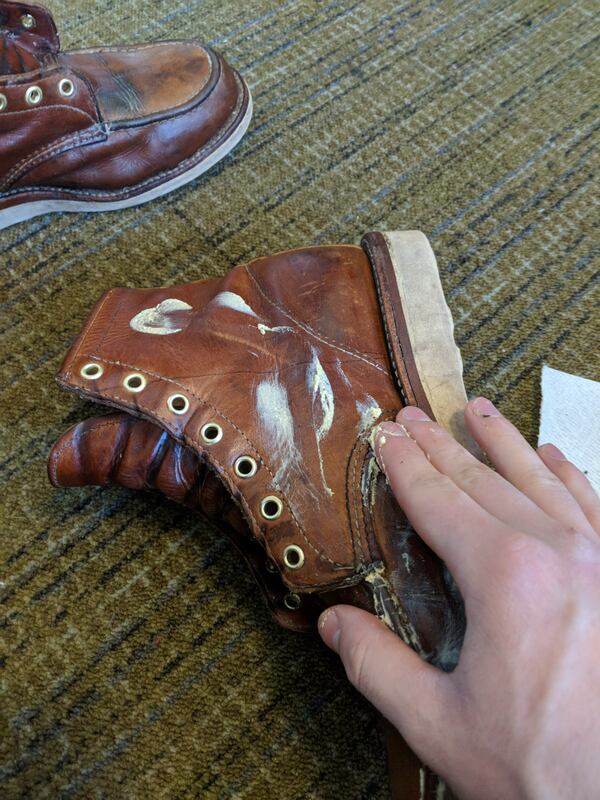 As a result, they're showing their wear and tear. This guide/album shows how I keep these things going year after year. 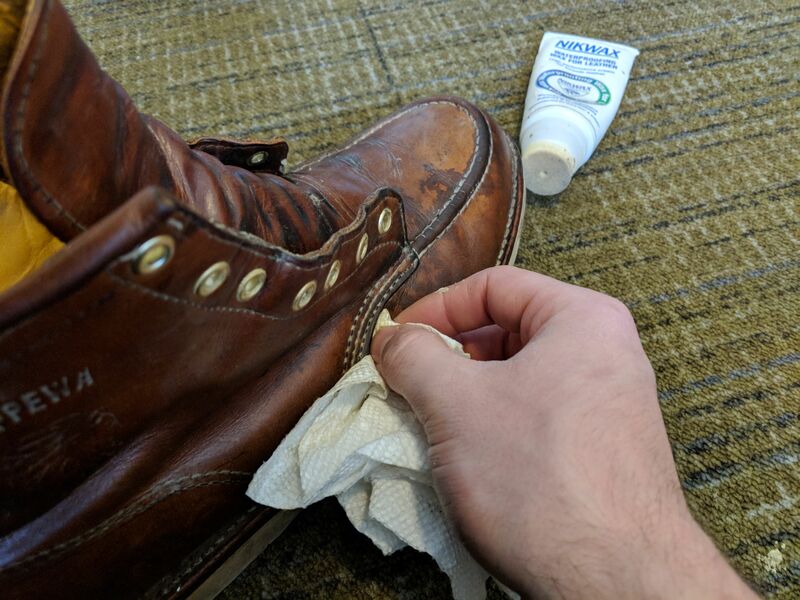 Step 1: Wipe down your boots with a wet rag or paper towel to get rid of the dirt. 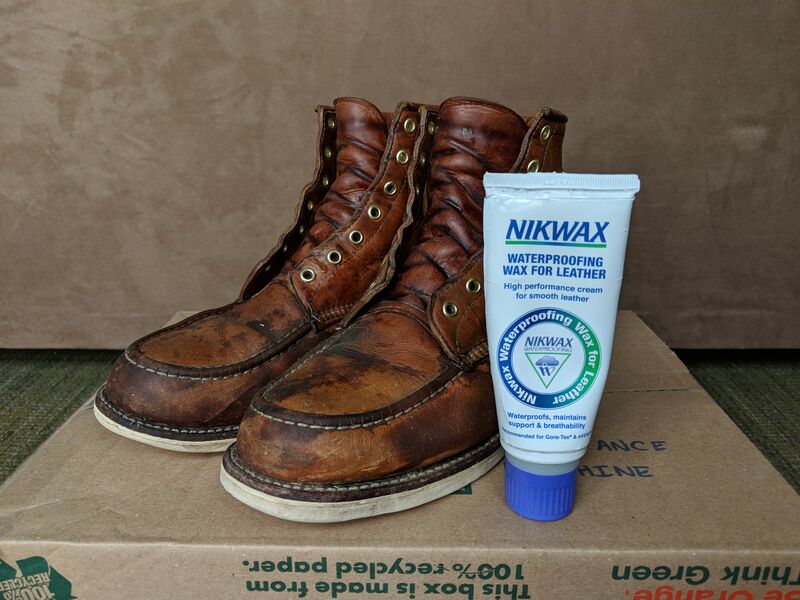 The good thing about this wax cream is that applying it to wet leather is suggested, so this step doesn't require any drying time. Step 2: Apply the wax cream. This stuff is non-toxic - use your hands for the majority of the work. Be generous in your application. This stuff is cheap and you really want a lot of it to sink in. Make sure you give extra attention to the tongue and other areas that see more stress, strain, and folding. These are the areas that become dry the quickest and require the most treatment to prevent damage. Step 2.b: Make sure you get the cream into all of the seams on the boots. For this I used a paper towel that I folded a few times. Step 3: Let the cream soak in. 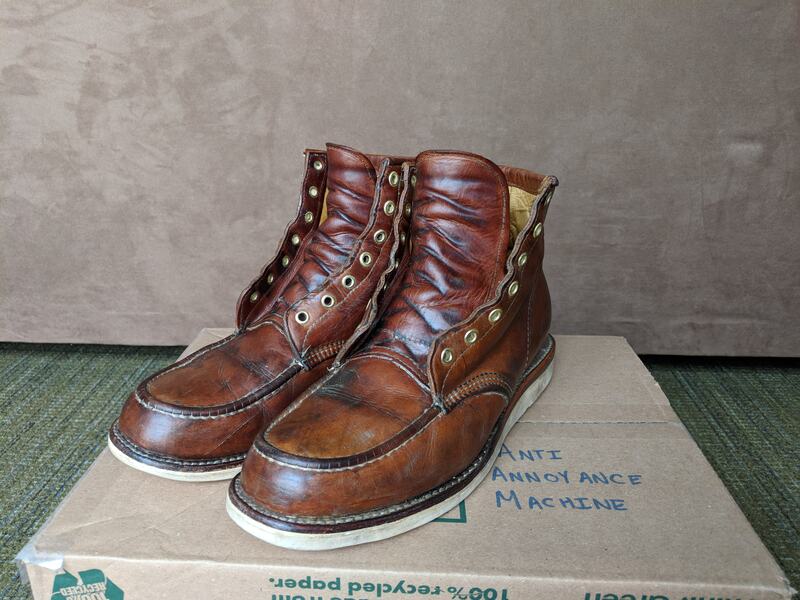 You'll know the cream has set when the boots aren't so shiny and when wax doesn't come off to the touch.